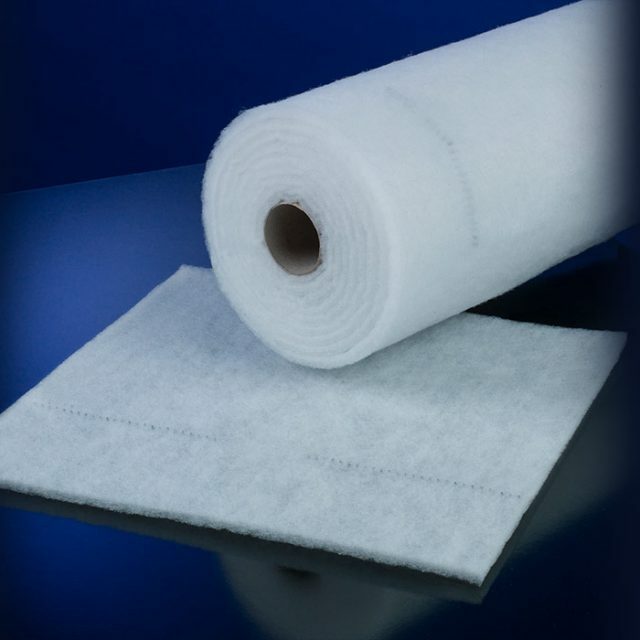 Filter pads are the simplest type of deep-bed filters and consist of unframed filter media only. Filter pads are mostly used as a flat-lying coarse dust mat up to maximum filter class M5. In the surface technology ceiling filters are used for the dust particle separation in supply-air filtration, floor filters are used for paint-particle separation in exhaust-air filtration. They both enable a uniform dispersion of the air stream. Frequently, low costs of purchase are associated with high operating and maintenance costs. The filter media can be cut to customised size. 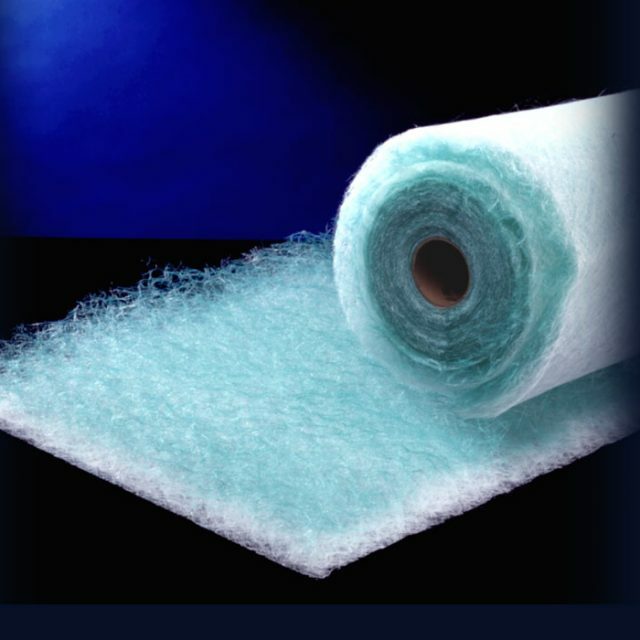 For special applications, various types of fibre blends, impregnations or laminations are used.